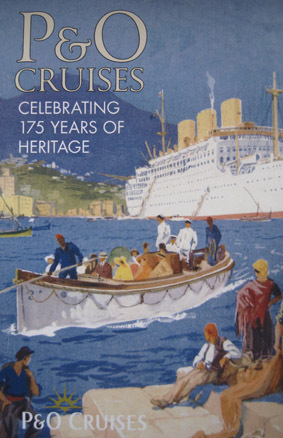 A few days ago I watched the “P&O Cruises, Celebrating 175 Years of Heritage” DVD and it really was very interesting. The company has such a rich and deep history, a history that is still to this day portrayed onboard just in a way that is slightly more in keeping with modern times. Aside from the line’s history there were other sections that were rather interesting including the mention of being able to request either a salt water bath or a regular tap water bath. I really wish this was still an option today, think of all the skin treatments out there, mud baths, aromatherapy oils, massage creams, not one of these things has a patch on a genuine and un-treated salt water bath. Can we not bring these back?! We know how our skin feels after a quick dip in the ocean never mind a nice long soak. The DVD also touched on the line’s history with food and how the idea of fine dining has changed over the years. For example, dishes on a menu from 1862 included sheep’s head and stewed pig’s feet, if that wasn’t enough how about boiled legs mutton?! Can you imagine being served that now? I’m not entirely sure about you but if any of that were placed on the table in front of me I would leave the restaurant so fast I would probably set fire to the carpet. I am glad to see that not only the ships improved with the times but that the dining choice did too! If there is one thing I would say that hasn’t changed about the food onboard it is the curry. Yes, it is against the law I am sure for P&O ships to not serve curry. I do like a good curry, as long as it’s not too spicy but it gets a bit much day in day out whether you eat it or not. Even just looking at it can be more than enough sometimes. The DVD also featured interviews with crew members, some of which have been with the line for upwards of 20 years. 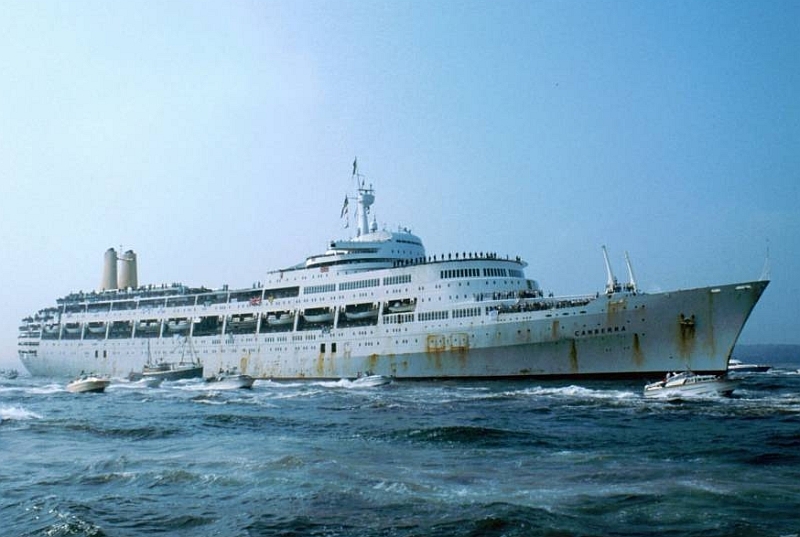 Their own recollection of how things have changed over the years was a great insight and some had some pretty amazing stories to tell including Jan Bacon, Restaurant Manager onboard Aurora, who told her story of being onboard Canberra when the ship went to war in the Falklands. She noted how many female crew volunteered to go and ultimately went even though the Ministry of Defence expressed that female crew should leave the ship. P&O however stood firm and said they are Ships Company and they have volunteered to go. Little did they realise then that they would head directly into the war zone and be the target of aircraft bombers. Luckily Canberra was not hit and she made it back home to Southampton dripping in rust streaks but in one piece. Her story was fascinating and obviously is still something that is very emotional for her to discuss. 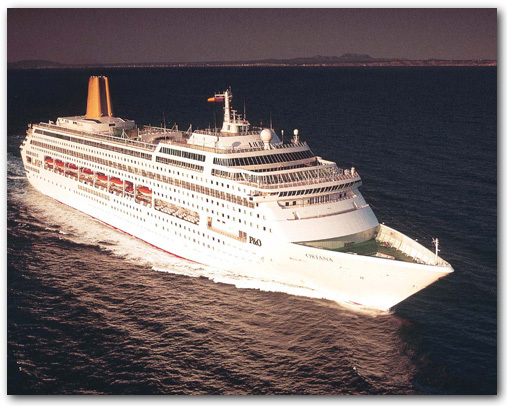 Further through the DVD we were graced with Oriana’s presence (1995) Built purposely for the British market by P&O Cruises in 1995, Oriana, still to this day is the line’s flagship and pride of the fleet! 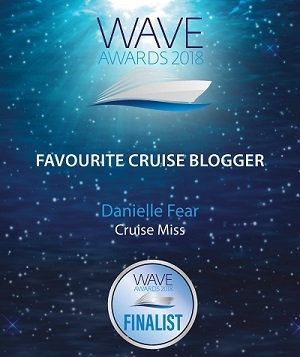 She was one of a kind and from my own personal experience within cruise travel I am yet to find a fellow cruiser who was not completely overtaken by her charm, I being one of those people. 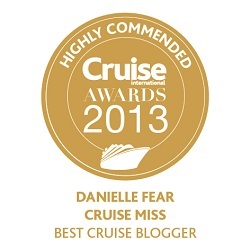 P&O really are steeped in history and this is personally why I am so interested in the cruise line. They didn’t just pop up offering guests deck parties every night or water parks and full size basketball courts. They offer people something far richer than any of those things. 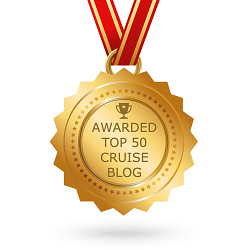 They have a talking point, a real place within pleasure cruising and clearly a spot in the hearts of many a British cruiser. Next time you cruise with P&O why not delve into their history a little further? Learn more about the vessel you are sailing on and its importance. 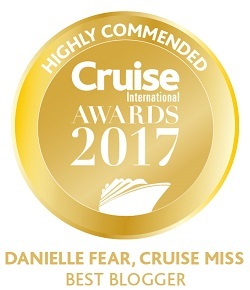 You are not just embarking on a cruise; you are continuing a legacy within cruise travel that very few other cruise lines can compete with. Still quite posh,port out ,starboard home,P&O liners were the pride of the British Merchant Navy,some of the best ships to sail on as crew ,i think P&O are the 2nd oldest shipping company after Bibby line.